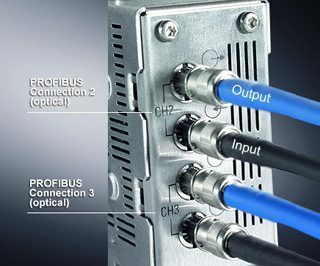 PROFIBUS is an open, digital communication system with a wide range of applications, particularly in the fields of factory and process automation. PROFIBUS is suitable for both fast, time-critical applications and complex communication tasks. PROFIBUS communication is anchored in the international standards IEC 61158 and IEC 61784. The application and engineering aspects are specified in the generally available guidelines of the PROFIBUS User Organization. This fulfills user demand for manufacturer independence and openness and ensures communication between devices of various manufacturers. The history of PROFIBUS goes back to a association venture project supported by the public authorities, which began in 1987 in Germany. Within the framework of this venture, 21 companies and institutes joined forces and created a strategic fieldbus project. The goal was the realization and establishment of a bit-serial fieldbus, the basic requirement of which was the standardization of the field device interface. For this purpose, the relevant member companies of the ZVEI (Central Association for the Electrical Industry) agreed to support a mutual technical concept for factory and process automation. A first step saw the specification of the complex communications protocol PROFIBUS FMS (Fieldbus Message Specification), which was tailored to demanding communication tasks. A further step in 1993 saw completion of the specification for the more simply configured and faster PROFIBUS DP protocol (Decentralized Periphery). This protocol is now available in three functionally scaleable versions DPV0, DP-V1 and DP-V2. Building on these two communications protocols, coupled with the development of numerous application- oriented profiles and a fast growing number of devices, PROFIBUS began ist advance, initially in factory automation and, since 1995, in process automation. Today, PROFIBUS is the fieldbus world market leader with more than a 20% share of the market, approx. 500,000 equipped applications and more than 5 million nodes. Today, there are more than 2000 PROFIBUS products available from a wide range of manufacturers. The success of PROFIBUS stems in equal measures from its progressive technology and the success of its non-commercial PROFIBUS User Organisation e.V. (PNO), the trade body of manufacturers and users founded in 1989. Together with the 22 other regional PROFIBUS associations in countries around the world, and the international umbrella organization PROFIBUS International (PI) founded in 1995, this organization now boasts more than 1,100 members worldwide. Objectives are the continuous further development of PROFIBUS technology and increased acceptance worldwide. As well as sponsoring the wide range development of technology and its acceptance, PI also undertakes additional tasks for the worldwide support of members (users and manufacturer) with advice, information and procedures for quality assurance as well as the standardization of technology in international standards. PI forms the largest fieldbus user association in the world. This represents future opportunities and responsibility in equal measure, opportunity to continue creating and establishing leading technologies that are useful to users and responsibility for those at the head of these user associations to be unwavering in their endeavors to target openness and investment protection for PROFIBUS in the future.